This post will answer 10 Samsung Galaxy S3 problems sent by our readers. It appears there are still thousand of owners experiencing problems with the phone a couple of years since it was released. So, we cannot just supporting those owners, hence, this post. 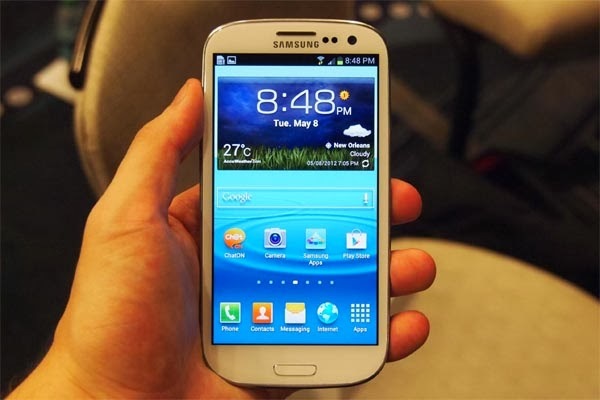 Samsung Galaxy S3 is one of the most powerful phones in 2012. We will be publishing posts addressing Samsung Galaxy S3 problems, questions and other issues so stay tuned. Meanwhile, read below and see if your problem is included among the ones mentioned here. If not, please bear with us as we continue finding solutions to the problems we receive through email (sebertech@gmail.com). Problem: I turned my phone off last night and when I turned it back on this morning...my pictures and camera pictures along with my music files disappeared. These folders were always saved to my SD card. My other photos such as screen shots and images from WhatsApp are still there. I have a Samsung galaxy s3. Please help! Could it be possible that my SD card is just not loading? I am trying not to panic! Answer: It is clear that your micro SD card is having some problems. I don't know if it already happened before but it looks like there would still be a chance to recover those pictures and music tracks. Try rebooting your phone and see if it can detect the card. If it does, backup all your data immediately. If the phone can't detect or read from the SD card after the reboot, take the card out and let your computer or laptop read from it. If possible, try to backup all your data in your computer and reformat the SD card. But the best thing to do is to buy a new micro SD card. Problem: Hello sir, I bought this phone from Dubai and right now I am in India. Its international model and not launched in India so that Samsung service center people saying they can't service this phone and not even touched the phone. My problem is its getting hot in the bottom of the area we hold exactly in the palm and in the front exactly in the back button pressing area. Problem arising at the time of playing games and using my net connection. Just in 3 to 7 minutes.. if I download something through the Internet, within 2 to 3 minutes it is going up to 38 to 40 degree Celsius. What is the exact problem to my phone. This problem I am facing from the beginning I'm started to use this phone. Thanks and waiting for your valuable reply. Answer: While heating problem is common, there are a lot of factors that may have caused or contributed to it. That said, I cannot pin-point what the exact problem is. Here's the thing, it is normal for the phone as powerful as the Samsung Galaxy S3 to heat up when in use especially when used for hours straight without rest but not to the point that it could almost burn your skin when you touch it. If this was the case, try minimizing the use of CPU and observe; use Wi-Fi instead of mobile data, don't play high-resolution games, and give the phone a break every hour or two. But I think that it is a battery problem. If it is possible to use a different battery, try that and see if the phone still heats up unnaturally. Problem: I had been using the multi window feature on my S3 without problem until the recent Android 4.3 release. Now it won't work at all. The tab with the list of Apps does not come appear on the side of the screen. Any suggestions? Answer: If this happened right after you updated the phone to the latest firmware, try clearing the cache partition from the recovery mode. The device needs to cache new set of data because some of them may have been corrupted during the update or there are some problems with cross-referencing between apps. The multi-window feature is still included in the list of core features so it should run while you are in Safe Mode. So, try booting your phone to Safe Mode and see if the feature functions well. If not, do a factory reset to clear all possible corrupted data. That should do it. Problem: Hi, Since updating my Samsung Galaxy S3 to jelly bean 4.3 my Wi-Fi keeps disconnecting. I gather the problem is common but was wondering if there's anything I can do to improve it. I am with Meteor and mobile data is not working great either since update. Answer: I'm not really sure how often your Wi-Fi gets disconnected. If it happens only by the time the phone goes idle, then make sure you set the phone not to disconnect when it goes to sleep. You can find that option under the Advanced WiFi settings. It is also possible the problem is with your network, so, try power-cycling your router or modem; unplug it from the power source, wait for a minute, then plug it back in. Problem: I was reading the article on the Sprint Samsung Galaxy S3 not being able to make calls or messages. I currently have this problem. I'm in Pomona, CA and the coverage map says there the best voice service possible in my neighborhood/city. But I'm confused on why it continues to fail. The 4g is fast and reliable and I can browse chrome all day. but why when cant it receive any calls or text or make calls or texts? Thanks if you have a solution that'd be very helpful. thank you. Answer: The first thing you should check is whether your phone is getting good coverage; 3 signal bars and up. If not, power-shock your phone. Remove the battery while it's on and wait for a minute. Place the battery back and boot it up. The S3 will be forced to search for available networks and if there's no service, call Sprint as it may be a network problem. If you can see signal bars, try disabling 4G. You should be able to make / receive calls or texts after that provided that you're not using a third party messaging app like Go SMS that may interfere with the phone's normal operation. You know, 4G LTE, while it is being advertised to be the 'Super Man' in data transfer, is still unstable and there have been hundreds, if not thousands, of cases like this that were solved by simply disabling it. Problem: With Android 4.3 on my Galaxy S3, my camera stops when I am going to save the photo I have taken. And the picture is lost. And my Viber app stops when I try to read a message. I didn't have those problems before. Answer: I hope you're using the stock camera app because this seems to be a common problem. There's a little compatibility issues with the stock camera and Android 4.3 but it doesn't mean a problem like this will persist. You can fix it by clearing Camera app's cache and data through the Application Manager under Settings. As to the Viber app, please try to see if there is an update available for the app. If there's none, then clear the app's cache and data. If that doesn't work, uninstall it then reinstall. Problem: Hi, a few months back my internet crashed while I was updating my phone. So the whole software of my Galaxy S3 crashed I took it to a mobile shop 'cause I didn't know what to do. He told me he reinstalled the software but now the IMEI no doesn't show and product code is not showing and my phone doesn't update please help me out what shall I do? Please help me my phone is still under warranty. Thanks. Answer: The technician should have flashed a custom ROM to your device, which means it had been rooted and is now running an "unofficial" firmware. I have nothing against custom ROMs but this problem is just one of the results when you install it to your phone. I don't know why you need to know the IMEI of the phone but if you can live without it and if the phone is not messed up, it doesn't matter. Otherwise, re-install the official stock ROM. Problem: Hi, I’ve tried a full factory reset and yet the photos (which are assigned to each contact) still do not appear on the left hand side in the contact list. In fact, blank pictures don’t even show up. Tried phoning Samsung support and they couldn’t help me. They said I would have to send the phone in for a service which would take 7 – 10 days. Any suggestions? Answer: By default, photos assigned to contacts would show up even the blank ones. I'm not sure what you did with your phone before this problem happened but if there's an available update, try installing the latest firmware and do a factory reset after that and then clear cache partition. Sorry, I really couldn't comment more on this because I don't know the reason why contact photos disappeared in the first place. Problem: Hey, I was hoping you could help me fix an error that comes up when I try and retrieve hidden items from the gallery. The message "Unfortunately, gallery has stopped" comes up when I go to an album and choose the "show hidden items" tab for pictures I hid. Thanks for any instruction or guidance you can give. Answer: Gallery is a very busy app. Imagine this: when the camera takes photos, the gallery app will be called to manage those photos. It will crop them so as to make thumbnails, make them ready for sharing, and when sync is enabled, it will sync with whatever cloud service you're using. If there are thousands of photos to manage, it is almost predictable that the Gallery app will crash especially when there is a bunch of apps eating the RAM. So, the solution, save old photos to your computer and delete them from your phone. Then, clear cache and data of the Gallery app from the Application Manager. Problem: Hi, I still have a Samsung Galaxy S3 as a backup phone and read your excellent article on-line. A question for you: Is there a way of knowing what apps you can uninstall and those you cannot - apart from trial and error? I have no problem with the rest of the world using social media sites (for example) but don't know why I have to have them using up space on the S3 and loading into RAM each time I turn on my phone. I not really want to root the S3, any other options? Any help appreciated. Answer: Anything that is not labeled Samsung or are not Google apps can be uninstalled. If you were the one who set the phone up in the first place, you could easily know which are the third-party apps and which are the ones that were pre-installed. But the easiest way is to boot to Safe Mode, go to the Application Manager, and choose 'Running' tab. Anything that runs while in Safe Mode are core services and those that don't are not really that important. Problems with your Galaxy S3? Tell us about it. Email us at sebertech@gmail.com and we will find the most appropriate solutions to your problems. Please be detailed as much as possible so that we would be able to provide you correct solutions.